This week's theme comes from Thezzy, whose "The Assimilator" was the winner of our Stack the Deck competition! This will be kinda tricky, but the task is really interesting. Respect to Thezzy and to the mods for coming up with something original. Not sure how many entries we will get with the expansion just hitting but here goes for a nice theme. This is my first idea. I'm really happy with the idea, but I'm not sure if I worded it properly or not. 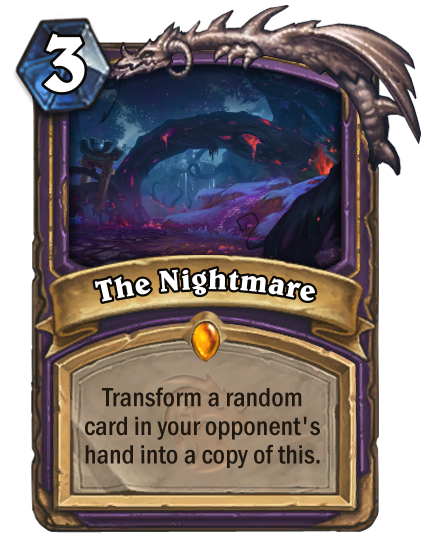 The idea is that you get a random Shaman spell to your hand, that when you cast it... adds another random Shaman spell to your hand, that when you cast it... adds another random Shaman spell to your hand, and this effect repeats indefinitely for that one spell. 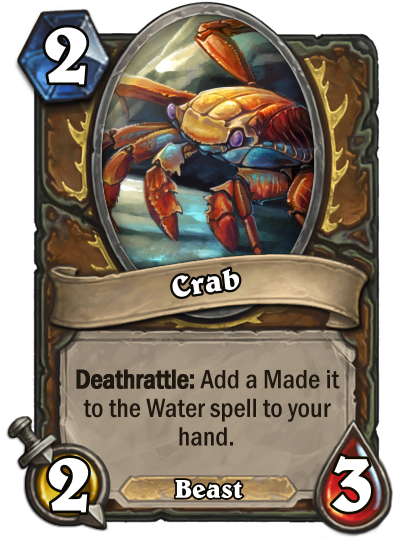 The only thing is that it says it "gains this Battlecry", and I know someone is going to say "but spells can't have Battlecries". It's not getting one. It's getting the effect. 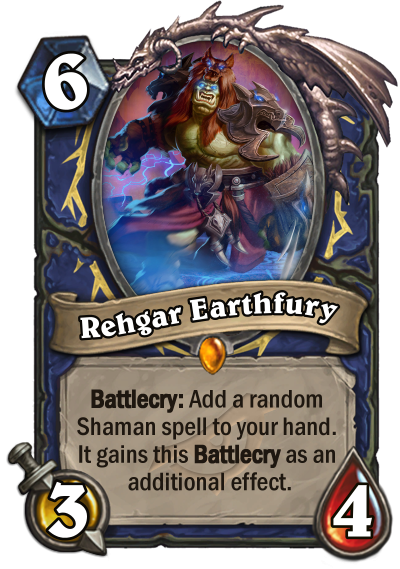 The spell generated by Rehgar would also have a special effects layer over the card (like all of the "Shifter" cards), so you would know which card triggers this effect. 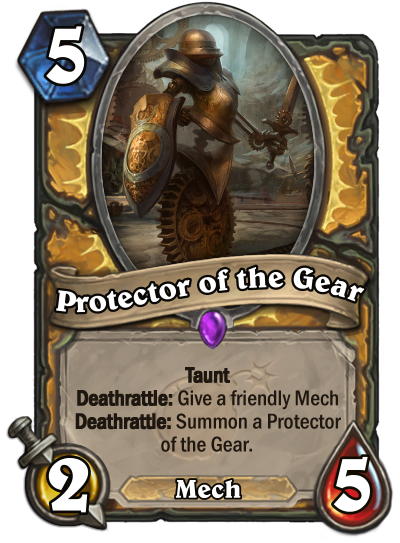 This is what Im (most likely) going with; my original version had it with negative attack that healed for that amount then copied its abilities to a random minion, but that mechanic I felt is inherently broken and not satisfying to create. 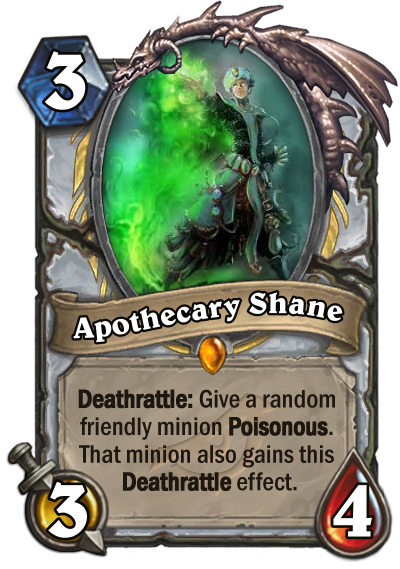 So far both cards are alright, although Apothecary Shane has very good stats for his effect. 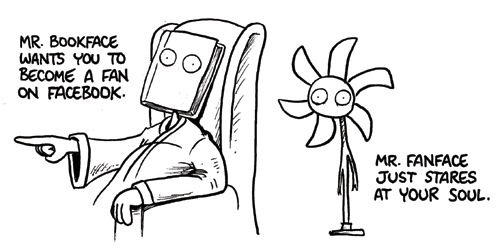 as soon as i saw the subject, this idea popped into my head. yes, taunt stops the minion affected by this from attacking at all. Here's my first attempt at the theme. I might get some crazier notions later. 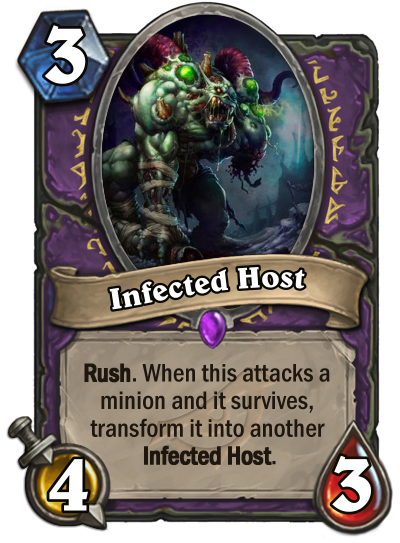 For the Infected Host, the minion has to survive being attacked by it in order to transform. And yes, this then means your opponent then gets one! 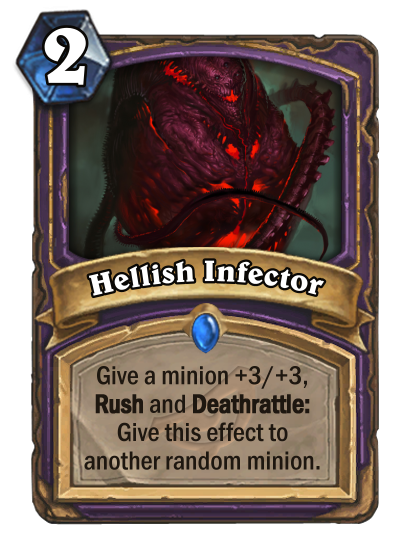 The Hellish Infector can spread to any minion, including enemy minions. What do you think about this idea? 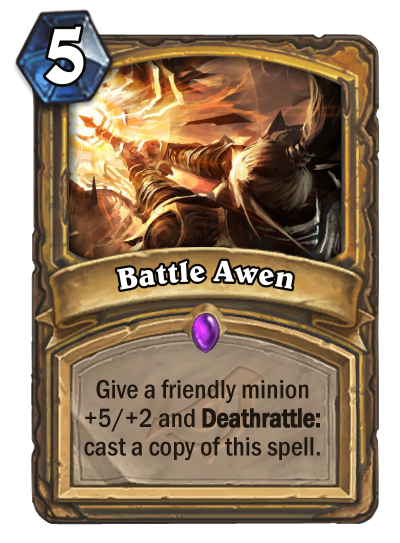 The first minion that this effect bounces to would only gain the deathrattle in addition to its own. 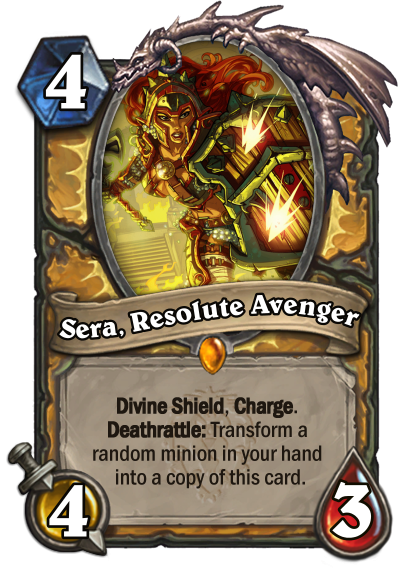 For example if it bounced to Tirion Fordring, the abilities would be "Divine Shield, Taunt, Deathrattle: Equip 5/3 Ashbringer AND Deathrattle: Give this minion's abilities to a random minion". 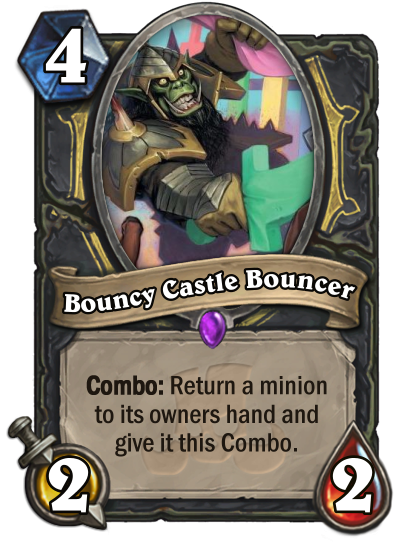 Then the next minion would gain the previous effects in addition to its own and they would keep stacking forward until all the minions on board were removed for once so there was no minion to bounce to. Also void revenants are actually NOT DEMONS. 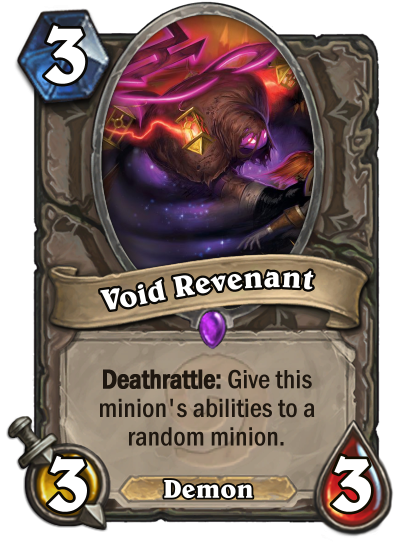 Should I stay trustful to the lore or use the demon tag since all void minions in HS have been demons? 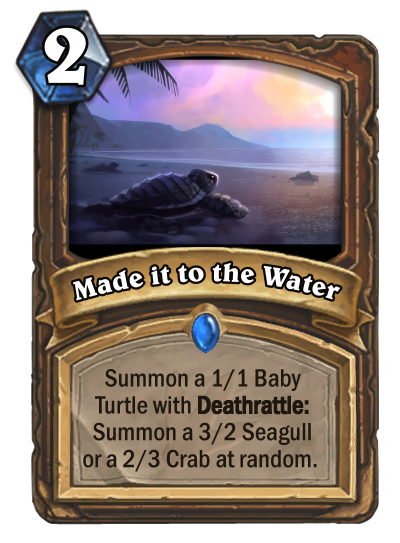 You can create more copies with Holy Water and Mindgames, or get a (secret) copy with Thoughtsteal, Mind Vision, etc. 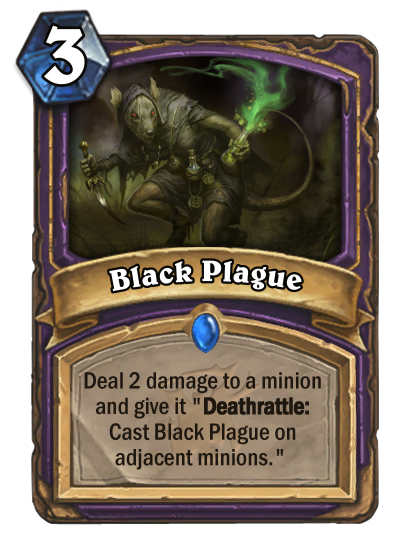 The Deathrattle is secret for you as well though. Edit: Also pretty good with Shadowy Figure! Very interesting. Extremely broken under certain conditions I'm sure due to being neutral (getting this to go on Immortal Prelate, Da Undatakah and then Tirion Fordring come to mind), but very interesting none the less. Does it also keep any enchantments/buffs? I don't think the tribe really matters that much. Blizzard themselves haven't been very consistent with them either. 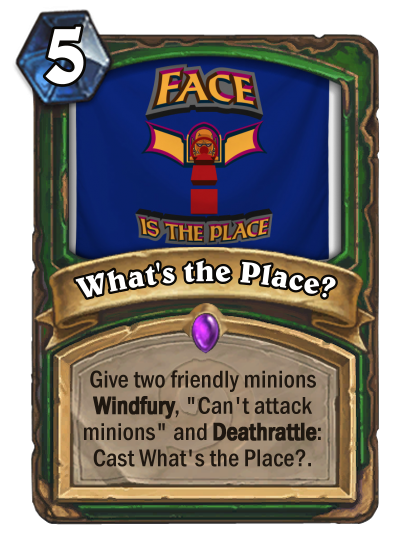 I'd say the tribe should generally match the card image so it visually makes sense. My initial ideas, two are previous ideas of mine and one is brand new. Would they count? She just keeps coming back for more, but you have to keep losing your other minions to do it. I'm wondering if a larger stat-line would be more preferable. They should all count, yes. 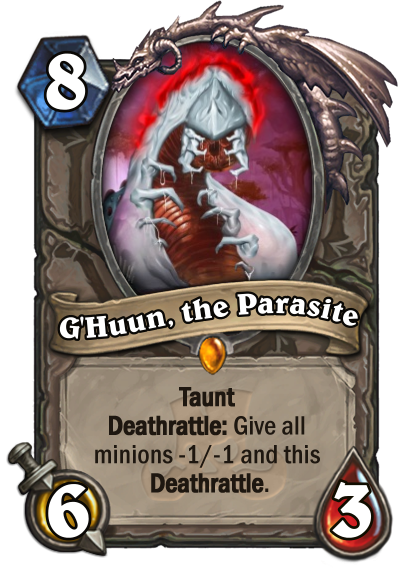 Of them I think I prefer G'Huun. 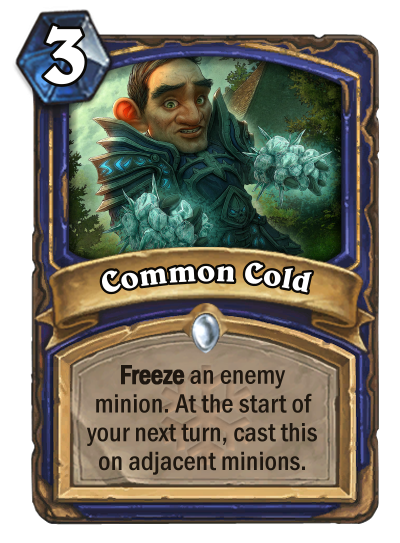 Common Cold could conceivably continue forever, and The Nightmare is a Legendary class tech card which seems wrong to me. @DestroyerR I really like the Nightmare, it's original and could break combos. 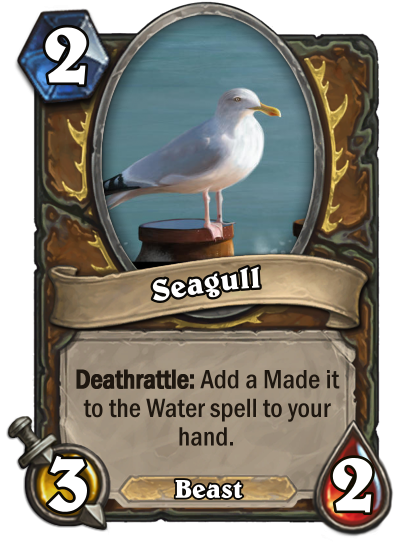 Not sure if I would put this into my deck, though! 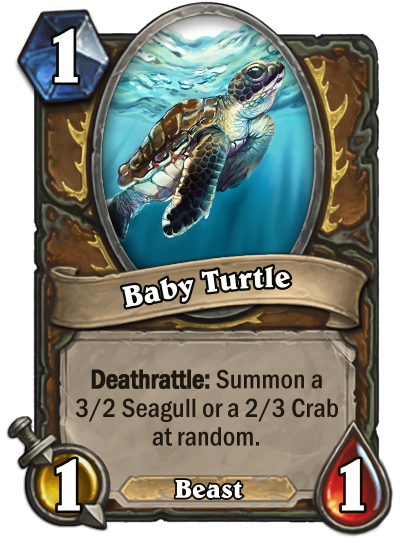 @GoliathTheDwarf Love the flavour, but why not make the turtle just a minion? "A gang for those who were banned from the Grimy Goons for being filthy rogues." 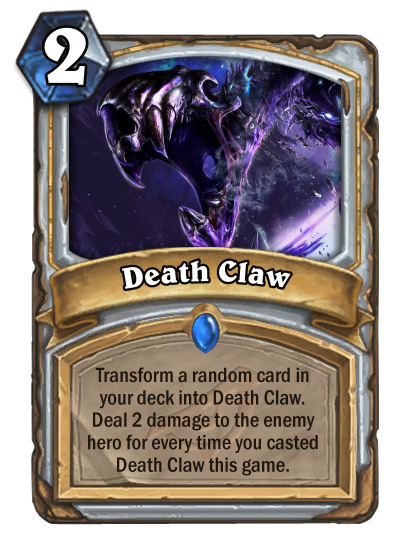 "In fatigue clawing to death is completely useless." 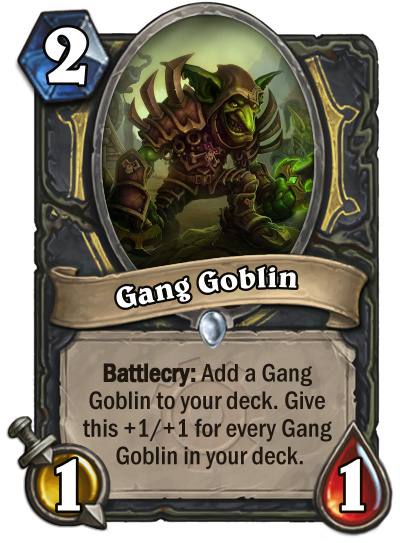 Not sure if the first one counts, I mean you're generating infinite Gang Goblins and "infecting your deck", but not sure if that's enough.